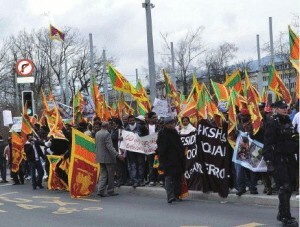 The death of Sri Lankan diplomacy by suicide took place in Geneva on 22 March. For 64 years, it had served the country well despite the size of its professional cadre and persistent political meddling by all regimes. The link between suicidal diplomacy and political directions received from Colombo is becoming obvious after the adoption of the resolution with anti-US and anti-Indian statements and actions being leaked to the media. A populist President is milking the Geneva debacle to such an extent that one wonders whether it was a deliberate act of hara-kiri. There has been a plethora of comment on the Geneva events ranging from vitriolic abuse of the West in general and the US in particular, anti-Indian sentiment, defiant xenophobia and jingoism to ‘I told you so’ comments and efforts to shift the blame to the luckless and reportedly divided Geneva delegation. Amidst this, a number of key factors have either been concealed or have not been apparent. Firstly, no country welcomes being on the agenda of the Human Rights Council (HRC) – the premier human-rights body of the UN system. A resolution without the consent of that country is undoubtedly a stigma affecting its political and economic relations. Resolution No. 19/2 adopted on 22 March 2012 was the very first such resolution on Sri Lanka. It is of course arguable whether a contentious resolution adopted by the HRC is the best way to advance human rights, especially in a democracy. I do not think so myself. Secondly, the first decisions or resolutions on Sri Lanka were adopted by the predecessor body of the HRC, the Commission on Human Rights (CHR) in 1984 (following the disastrous riots of Black July 1983 and the international outrage it caused) and in 1987. This was largely on the initiative of India, supported by the EU and others like Argentina who had been gifted a grievance by J. R. Jayewardene’s myopic foreign policy. However, these were adopted without a vote because the Sri Lankan delegations during both these years converted hostile resolutions into benign ones through diplomatic negotiations approved by Colombo. Thirdly, from 1987 to 2009, except for mention of Sri Lanka in the de­bates of the CHR and the HRC, there was no resolution, partly because of the diplomatic support of India following the Indo-Lanka Accord of 1987. In 2009, a hostile resolution against Sri Lanka over the concluding phase of the LTTE’s military defeat was opposed by the Sri Lanka delegation aggressively and was defeated with the help of India, China, Russia and many Non-Aligned countries. The US was not a member of the HRC in 2009. Rubbing salt into the wound of those who initiated that resolution (never a wise move in international diplomacy), Sri Lanka moved a counter resolution which was adopted in a divided vote – 29 for, 12 against and six abstaining. The contents of that resolution, including a promise to implement the 13th Amendment, are in fact not very different from the resolution adopted this year. In 2009, our Geneva team placed the Sri Lanka situation on the HRC agenda, while our career diplomats in New York shrewdly kept it off the Security Council agenda. Hostile critics were provoked to revisit the issue in Geneva and bided their time. The 2012 resolution is exactly what the UNSG’s panel of experts’ report recommended. If Sri Lanka is in a hole now, as some claim it is, the digging began in 2009. With our dependence on the West for trade, aid, investment and tourism, and our geopolitical vulnerability vis-à-vis India, preventive diplomacy not provocative posturing is needed. Fourthly, the statistical casuistry of high-level government spokesmen in interpreting the vote as a majority of one is patently absurd and dishonest. It is well known in voting procedures from village councils to international forums that an abstention represents precisely a posture of being neither for nor against. Strangely, our governing regime had hitherto believed, following Bush Junior, that “if you’re not for us you’re against us.” And what about the 42 co-sponsors of the resolution, including the non-voting observers? No doubt, pressure was applied by the US once it had decided to sponsor a resolution on Sri Lanka, but if we decided to oppose the resolution instead of engaging in diplomatic negotiations to dilute the resolution, then we should have been ready for this conduct by the sole superpower. No country, however friendly it may be to us, would like to be placed in a situation of having to choose between the US and Sri Lanka. Inevitably, some stood by Sri Lanka and some did not. Crucially India, our giant neighbour, was caught in a cleft stick. There was disappointment over unfulfilled promises on a political solution in Sri Lanka complicated by a crisis in the governing UPA – electoral reverses in Uttar Pradesh, problems with Mamata Banerjee over the Railway Budget and combined DMK-AIADMK pressure to vote for the US resolution. Diplomatic support over a quarter century from 1987 to 2012 may have resulted in an abstention, in keeping with India’s aversion to country-specific resolutions on human rights. Finally, domestic compulsions tipped the scales into a vote for the resolution. Thus have we alienated our friends. Fifthly, the state-inspired attacks on the civil-society representatives who had gone to Geneva in the Sri Lankan media and in Geneva only proved to foreign observers that our human-rights record was a shoddy one. The world is an echo chamber today with the power of ICT. Thus, the attacks on the civil-society representatives in Geneva and Minister Mervyn Silva’s reported threats and admission that he had crippled a journalist reverberated around the world. Few Sri Lankans remembered that in the 1990s, both Mahinda Rajapaksa and our Ambassador in Geneva were present in the CHR as critics of the human-rights record of the then UNP Government. Finally, the myth that action by the UN on our human-rights record is a violation of our sovereignty and an interference in our internal affairs must be laid to rest. By joining the UN voluntarily in 1955, we were party to the UN Charter and to the 1948 Universal Declaration on Human Rights. We agreed to the setting up of the HRC in 2006 and its mandate. We were members of the HRC when we voted on resolutions and lost our bid for re-election in 2008. We agreed to the mechanisms set up such as the Universal Periodic Review and the procedure which allows individuals and organisations to bring human-rights violations to the attention of the council. The HRC also works with the UN special procedures made up of special rapporteurs, special representatives, independent experts and working groups that monitor, examine, advise and publicly report on thematic issues or human-rights situations in specific countries. In addition, we have signed several international instru­ments on human rights under which we have re­porting obligations which we fulfil. These obligations stem from our being in the international community and a signatory of international treaties. if all the above are from your heart. I hope you are not playing diplomatic card to resuscitate “The dead Sri Lankan diplomacy”??? Sorry , my mistrust is so deep towards SL diplomats and politicians e.g Colvin, Keter Keneman, last not least Dayan Jayathilake !!!! You’re a real patriotic son of soil, trying to save the country from international critism but the currrent rulers never going to listen you. They are hungry wild animals want to rule the country at any cost without considering local problems or international outcry. MR proved himself as a selfish moron by taking Human violations to UN then and today, being silent when the same issue came against him while holding office. Try your best to solve the burning issue exist more than six decades. then international pressure will be automatically disappear!!!!! People, don’t fall for this crock. Mr. Dhanapala is thinking at the base level and interpreting the fact that there was a UN Resolution as a suicide of SL diplomacy. SL won the battle at Nandikkadal by felling the veteran warrior and discrimination fighting superman Mr. V. Prabhakaran, and is now continuing to win the war at the international stage. We are well protected by China and India is simply moving to protect its support by the Tamil parties – they know very well that the bigger war was won, so letting the Tamil parties will the smaller skirmish is not a big deal – afterall, that is diplomacy. The same is true at the international stage. U.S. and Canada (led by the Conservative Harper) made sure the tigers were de-clawed and now the U.S. is acting as though it sympathizes with the Tamils – again, diplomacy – a smaller skirmish with SL to appease the Tamils who lost the bigger battle. After all, those who think at the basic level will simply be playing the diplomatic card, as they should. The second level thinking is running the world. SL is also pretending to be upset. Vasanthi Kumarakuru: you lost trust after Dayan Jayatilleke episode? Did you not read the writeup by DBS J about Dayan? Read it here: http://dbsjeyaraj.com/dbsj/archives/5431 and weep, woman, weep. I know the stooges of the current Govt hang out at this message board, but come on – you should know how to protect your identity. This is shame on Dhanapala once known to me at when we served together. He cannot afford to place blame whilst working later to serve and further his own interest at the UN and elsewhere. It was unfortunate that he later campaigned to blame late Kadirgamar since the late Minister did not allow Dhanapala to achieve his private agenda. Kadirgamar always put country before himself and was killed by the LTTE. Kadirgamar opposed the now infamous PTOMS. Dhanapala supported it and lives in the lap of luxury even now. Even as Ambassador to Washington Dhanapala made connections to further his interest. It is well known in our circles that JD is not a grateful man. Current President Rajapaksa extended his fullest support to Dhanapala to contest the UNSG post whilst Ranil W promoted late Tyrone Fernando. Rajapaksa went out of his way to support JD but, JD failed and India who never liked JD promoted Sashi (Tharoor). JD came last. The time has come when we have to choose between becoming a Zimbabwe or New Myanmar. Zimbabwe under Mugabe has deterioted from being one of Africas strongest economies to become one of the most corrupt and impoverished. Myanmar too pursued the path of Dictatorship and abuse of Human Rights and was subject to Sanctions. However since 2011 there has been reform and Myanmar has recently chosen the path of democracy and is expected to be one of the rising stars of Asia in the future. Sri Lanka, once a promising nation, has struggled through a morass of political, racial, economic conflicts for the last 56 years since independence. Three years back we managed to defeat a ruthless terrorist outfit that was hell bent on destroying the country. However despite the military victory the Govt of Mahinda Rajapakse has not felt it neccesary to address the problems of the Tamils and Minorities. Governance and Democracy have deteriorated and Corruption, Abuse of Human Rights, Militarism is rampant. The Govt has fallen out with the Western Countries and India who supported its war against Terrorism and is on collision course with the UN and its agencies. The economy of the country is rapidly deteriorating. We are deeply in debt. Govt is cash strapped and increasingly taxing and heaping burdens on the common people. Govt is following various insiduous policies of politicising the economy and Private Sector including the Financial sector. Profit making industries are taken over. Bankrupt loss making public organisations are being bankrolled by state banks. Loans to un named individuals / entities are being written off. Public / Private funds are being misused to fund unscrupulous individuals. Despite the Rosy picture being painted by Mr Cabral the situation is very precarious. So another debacle at Geneva in November and the possibility of economic sanctions is not what we can afford. Hope sanity prevails somewhere in this jungle of impunity. Unfortunately Jayantha, your words are not understood by Colombo, no different to those who were based in kilinochchi prior to 2009, who failed to understand the words of the international community. It was evident with the passing of the 18th amendment in the parliament where many senior SLFP members and the so called Left voted for it….by submitting their birth right to one Man……that the objective of the PRESIDENT IS TO STAY IN POWER UNTIL DEATH….those who voted were the critics of this system and the architect of the Constitution of the late President JRJ… accusing for robbing the power of the people for him to survive till his death …….now the ver same thing has fallen on their face like a lump of spit…. what happened in GENEVA shows that the world do not respect us any more…?the Political Leadership…..but he is worried only about Domestic Politics among the Sinhalese….to perpetuate this he will do anything…as long as he is the President of the Sinhalese, which fact that none can deny, he will be happy…..see the calloused disregard of Dambulla incident….he did not want to displease the Buddhist monks….. This is the best part and I really like it as a Sinhalese because the stupid Sinhalese do not understand a thing in simple way and they need to suffer and go through the hell to see the truth. But out of this hell I doubt they would ever escape. God bless stupid Sri Lankans. In a couple of hours and when you revisit this comments section you would see many of these stupid Sinhalese rats throw scathing criticisms and Madamulana bravery against any power in the world, be it US,Britain or Canada it doesn’t matter to them because these donkeys believe Rajapakshas and they are all-powerful and omnipresent! Jayantha Dhanapala is not with the clan’s minions. Therefore he is against them which makes him a “traitor”. When will Dayan and Tamara join the increasing band of traitors? Are there more traitors than Sri Lankan brand of patriots? When will we see traitors “outing” themselves as traitors. We should encourage them at any costs. May I ask you how Dr. Dhanapala can be in action now in the international arena when he is not a Sri Lanka Diplomat now which position he gave-up when his position in the UN was undermined by political expediency. It should be appreciated that Dr. Dhanpala, as a ordinary citizen now, is courageously expressing his views in the best interest of the country when many others keep praising and defending the wrong-doers. Thank you Sir, for this enlightening article. Our delegation is supposed to meet the US Secretary of State during next week. The stench of a delegation member who will accompany Minister G.L. Peiris has already reached Washington, DC and that is not going to help our country either. The mission here is headed by a self-promoting relative of president Rajapaksa who has no training in diplomacy, tact, language and he keeps in touch with and entertains minor league players of US politics who do not carry any clout. It is a pathetic situation indeed, compared to the days of polished and well educated Sri Lankans who headed our missions gaining the respect of the host countries and the diplomatic corp.
Anyways,Father. UN is a puppet. A sock puppet.We know that yeah? Now praise the Lord and pass the sauce. Great article, but knowing HE Dhanapala I don’t expect anything less from him. Regrettably all the experience he gained heading UN’s Disarmament would still be inadequate for him to help disarm Rajapakse family from ruling and ruining our motherland. Where I may beg to defer is him stating, (I quote), ” It is of course arguable whether a contentious resolution adopted by the HRC is the best way to advance human rights, especially in a democracy. I do not think so myself”. For all intent and purposes can anyone regard SL under the Rajapakse family rule a democracy?? With President Mahinda running the country like his own kitchen and the likes of his brother Gothabhaya running the Ministry of Defense and Disappearances, his other brother Basil and nephew Thirukumar running Ministry of Backhanders and of Saajin and Kshenuka running the Ministry of Ruin (spelt foreign) Service how can anyone consider SL a functioning democracy. And if it’s not a functioning democracy then the rules and respect that a democracy expects cannot be given to SL. Further as Amb Dhanapala has rightly pointed out in action by the UN on our human-rights record should not be seen as a violation of SL’s sovereignty and an interference in international affairs. SL joined the UN voluntarily in 1955, and was party to the UN Charter ad to the 1948 Universal Declaration on Human Rights. Further SL agreed to the setting up of the HRC in 2006 and its mandate. So why are they crying fowl? They were keen to be seen as a civilized society and therefore it is fair for them to be judged, as one would expect from a civilized country. How sad that SL is now in the same club as Sudan and Burma, Zimbabwe and Venezuela. President Rajapakse will sure have a gathering of distinguished Heads of State at his funeral. Nicely written…but i can’t help noticing a bit of ‘i did it better’ from this ex-diplomat, who, let us not forget was a slave to Balasingham’s agenda during the heady days of the Ceasefire Agreement. I was in Geneva in March 2012…there were no ‘attacks’ on ‘civil society representatives’ (that’s diplospeak for pro-LTTE or anti-Rajapaksa operatives who cannot claim to represent any significant section of the Sri Lankan population), unless Dhanapala believes that criticism and calling-out amounts to ‘attack’ or ‘intimidation’. But then again, Dhanapala is a fellow-traveller in many ways of such people. In retrospect we can conclude that we did indeed screw up with the counter-resolution in 2009. A lot of factors contribute to the situation, he is correct. One of them is woeful capitulation by the likes of Dhanapala to the agenda of Eelamists. This post is purportedly from Malinda Seneviratne the Editor of “The Nation” but I am not sure whether it is indeed Malinda or someone pretending to be him. This reminds me of Epic Story of Maha Baratha where Pandawas and the Gaurawas had to test their theories/beliefs in the Krukshethra – the battle ground. Unbelievably, the similarities cannot escape the perceiving minds. Unfortunately for my thinking the Pandawas are missing here and yet to come. If there are perceiving minds could we be enlightened? For domestic consumption of course. As usual the stupid Sinhalese have already fallen for it just like their stupid Tamil brethren who fell for VP’s elaborate hoax. The Sri Lankan state and its institutions are rotten to the core. The rot started when Sinhala/Buddhist/Aryans were appointed the guardians of the island. They are determined that there is no going back. So Jayantha Dhanapala is not with you. How interesting the whole idea of serving the country and forced into servitude to clan for life. You couldn’t play the ball hence you are playing the man. This is also a novel idea. I don’t normally reply but on this occasion I am going to because of importance of the question raised. Tyranny in a state is NOT a new phenomenon in world history . To the best of my knowledge . The work for restoration of democracy and rule of law needs to be done in two fronts. 2.	International regrouping of like minded people operate in support of local groups. I would say JDS is one of such example in our case. That is not enough , we should organise such a way to take over the government in international support. This is vast area , needs full assessments of all elements. Native Vedda says ” The Sri Lankan state and its institutions are rotten to the core. The rot started when Sinhala/Buddhist/Aryans were appointed the guardians of the island”. Is he sure about the “Aryans” part?. Our budding International Cricketers , used to call even the Opposition Captains “Sir”,when they were on tour in the West.And everything was Hunky dory. A famous ex Captain of Ausralia used to joke about how our then Capatain, said to him, “No Sir, I going now”, while lying on his back on the Oval Turf, after being hit on the head by a Thommo bouncer. Thanks to our Ex Srilankan Whatmore, things have turned around. If we said “Yes Sir” to the West in Geneva, everything would have been Hunky dory too, according to Dr Dhanapala. All Srilankan inhabitants know how the sponsors of this Resulution tried their damnest to airlift the Prabakaran out to safety, and allow them to fight another day. They know how the powerful Foreign Sec of the main initiator of this Resolution, was sweating in sweltering heat in Medumulana, to force the President to give up. Since the elimination of the LTTE and its Leader ,these same countries have been on an incessant campaign to punish the President and drag the regime to the Hague. And Dr Danapala reckons, they only wanted Srilanka to say yes and agree to the Resolution. The great majority of Srilankans who are living in peace, and enjoy the freedom that was denied them for thirty years and who now have a better than even money chance of finding a job to feed their beloved do not need any “milking”. They know that they can enjoy the current peace , harmony and current Economic boom for at least another three years until the next election. And they also know well where the immediate danger to their expectation is coming from, even without Dr Dhanapala’s reminder. And they would ask how much these Sponsors of the Resolution have contributed to the current freedom, peace and prosperity that they enjoy.and better than even money chance that they have to find a job and put Food on the Table for their beloved. And Dr Danapala reckons these inhabitants have committed “Hara kiri”. I am in no way trying to attack Jayantha but, placing the facts before you since many do not know the real facts and the late Kadirgamar was demonised by him. LK stood up for Sri Lanka until the very end unlike JD. It is also said in International Diplomacy that Diplomats have to lie for their country. That is what many in the world do. But, JD who is very fluent in Chinese played a different game even then. He can do better and more for Sri Lanka which gave him all the opportunities instead of trying to serve other Masters. JD owes it to Sri Lanka. This article is a breath of fresh air from a UN diplomat. Interesting to hear the alternative perspective to the Dayan model of confrontational diplomacy (since the Kshenuka clique appears to be silent, aside from what Dharisha Bastian writes sometimes). Dhanapala may be correct that accommodation may have served Sri lanka better than confrontation in the past, but as critics here have pointed out he went too far in his support for PTOMS. Or am I oversimplifying this debate? Is there more to the story than a disagreement over the style and aims of Sri Lankan diplomacy? It would be nice to hear Dayan’s rejoinder. To conclude, what happens next? We cannot like petulant schoolboys pick up our marbles and go home because we have lost a resolution. We need to examine how we painted ourselves into a corner, and try to get out of it through drastic human-rights reforms. Prophetic words indeed. But will the petulant schoolboys understand your wisdom sir? Prophets in the old testament of the Bible were always despised by the authorities. For the common good of all our citizens I hope & pray the leader of our country will have wisdom to correct his mistakes and put this country in the fight path. In 2009, our Geneva team placed the Sri Lanka situation on the HRC agenda, while our career diplomats in New York shrewdly kept it off the Security Council agenda. Hostile critics were provoked to revisit the issue in Geneva and bided their time. The 2012 resolution is exactly what the UNSG’s panel of experts’ report recommended. If Sri Lanka is in a hole now, as some claim it is, the digging began in 2009. Carrier diplomats??? where are they since 2009?? It is regrettable that Sinhalese nationalists seem to think that diplomacy is a zero-sum game based on binary “yes” s and “no” s. Equating diplomacy to cricket demonstrates the political naïveté of these frogs-in-wells. A seasoned diplomat, Mr. Dhanapala has correctly implied diplomacy is all about negotiations that accomplish mutual national goals. And the key goal of the US with regard to Sri Lanka is to ensure that the island does not abandon the former’s founding philosophy of Jeffersonian-Democracy – and instead adopt a fascist Sinhalese Buddhist political philosophy. As demonstrated in Geneva, Washington will do whatever necessary – but with minimal negative impact on the Sri Lankan people – to encourage Colombo to shape-up. Tightening of the screws will not be sudden but gradual, but the intent will be to get Colombo to align. Of course, Colombo can continue to push the envelope as it has, but if there are no tangible results, expect gradual but painful punishments. It would help Colombo to comprehend a few things: (1) Washington hardly embarks upon international efforts without bi-partisan support and unless US legislators were serious – and certainly not against a longtime delightful friend who is no way a threat to American interests (2) Don’t expect a change to a potential Romney administration later in the year to be favorable to Colombo as US’ Sri Lanka policy is very much bi-partisan (3) Once Washington commits, it does not, and unable to back-off – so, get ready to fight or get wise (4) No matter the sound botes of Sinhala nationalists, remember that it is the bites that fill the stomachs that will keep you in political power (5) And US/West do not need a UN Security Council resolution to pull the rug from under (they have many options: beginning with Iranian oil, garments quotas etc. etc.) (6) China will hardly risk its entire economic well being (in its bi-lateral relationship with the US) and its relationship with India to safeguard tiny Sri Lanka (7) In the past, there have been many powerful foreign regimes than you (Colombo) who have confronted the US/West, simply ask yourself: “where are they now?” (8) It would not be a good idea to push the super power, because its response could be devastating to your political survival – always remember, at the end of the day, it’s the stomachs that matter, and not nationalist sentiments (9) when people suffer, they will for certain throw you out. Ex-Ambassador Theresita Schaffer about a month ago extended a fig leaf on this blog: she said that it is time for a renewal of the Washington-Colombo relationship. And here Mr. Dhanapala has re-iterated the same. But since Geneva, Colombo does not seem to have got the message. Expect a grim Dr. GL Peiris to return to Colombo with a do-or-die message from the Obama administration. Of course the Americans will make sure to include a provision for a face-save. However, what JD says about Dayan may be true. Megaphone diplomacy will not serve any country. JD is paying tribute to Pali who was in New York (his batch mate) which I would support without hesitation. No one spoke of Pali because he served silently. He still does. We have had good non career diplomats then and now. But, they all served diplomatically some still do. We cannot approve diplomacy through the media as we see these days. it i does not happpen in any other country. The media also do not understand and the media always is after a story. In a sentence, Jayantha Danapala says, “USA is a very powerful nation and therfore, do not defend your rights, but kneel down and blindly take their orders. Yes, just do as you are told by this “great” power. Danapala could be right if we look at the carnage committed by USA and Nato in Iraq, Afganistan, Libya, Yugoslovia etc in recent times. I am sure. These are brand names to promote certain useless products political or otherwise to sell it to the stupid gullible masses. One brand is the Sinhala/Buddhist/Aryans. There is also another brand equally useless, based on contested idea, the Tamil/Saiva/Dravidian. Both brands are destructive and self destructive based on outdated identities, unscientific and hoax, christened by people from outside the land, best promotional tools for the bigots, who have the fascistic tendency, undemocratic …and so on. Even if Sri lanka had been represented by the best diplomats the country has I don’t think the outcome would have been any different. The problem was that Sri lanka failed to do what it promised to do to resolve the human rights, war crimes and ethnic issues. This was as clear as daylight for everyone to see. This was made very clear by the indians before the vote.The Sri Lankan delegation was on a hiding to nothing and they knew it. “When monkey be god, imagine the congregation”. Before becoming a god, Monkey has to burn down Lankapuri. By the way it was Ravana who was supposed to have ruled then. 2. International regrouping of like minded people operate in support of local groups. We have seen so many patriotic movements since independent from British from Sinhalese and even from minority Tamils. None of the movements are up to the marks. I mean either they (Movements) were dissappeared among the corrupted ones or have become more extremists. Most Leaders from these movements were active but not proactive and no one had a political vision for our country based on our ethnic mix and geo-political nature. Your idea, re-grouping locally and internationally is there for a long time and not new to SL politics. Re-grouped revolutionary leaders were dissappeared from the radar from both communities. Even Gandhian type movement, if we have now, it will fail because SL Government is not British. Some of the Tamil militant movements tried to change the habits of politicians/people by some types of intimidations and they significantly succeded on it but unfortunately, they were also failed to find a limit of it and thus collapsed. Not only today, for the last two decade, all of us know very well why our most probable young leaders are stay away from SL politics either by being silent locally or already left and settled abroad. Today, we(Elected Governmets) are not in a postion to rule ourselves and some of us in this blog suggested so many solutions. If we really believe in democracy and continue to be in the same path for our future, we have to stay away from all non- democratic nations or atleast minimize the relationship, and locally elected governemnt must be under consultation of an international body advising the transparency of democracy. I simply say that somebody have to rule us in this modern day until our future leaders will be get trained in such a way they will be able to compete with world democratic leaders. Simply trying to get enough votes in UN to defeat a motion is not a good governance of a country. If we rule ourselves fairly, there will be no motion against us!!!! Mr Dias wants the Srilankan inhabitants who constitute 80 percent Sinhal nationalists to embrace Jeffersonian Democracy. If not, these Jefforsonian Democracy dispensers will slowly but surely tighten the screws to shrink their stomachs.warns Mr Dias in a gleeful manner. After living on the edge of not only anorexia with empty stomachs, but also absolute fear of bombs and suicide attacks on them and their beloved, these inhabitants are starting to fill their already shrunk stomachs. If the Jeffersonian Democray dispensers do what Mr Dias is predicting, the inhabitants most probably will be back to square one, and nothing much they can do about it as Mr Dias implies. But the inhabitants would be asking whether the Libyan, Iraqi, Afgani and even Sudanese inhabitants are living on full stomachs and fear of bombs after they were forced to embrace Jeffersonian Democracy. What Dr.Danapala doesn’t say here is, that 2009 and 2012 are entirely different situations from 1983 and 1987. In 83 and 87 JRJ was doing the bidding of mighty US of A. You didn’t need any kind of diplomacy to escape the IC then, any child would know that. Recently 2009 and 2012 however the proceedings were not to the liking of the high and mighty USA. So, who ever we send to Geneva or how much ever we try reason, the outcome would be the same. Many people here critizise for what has come of this country. But look what has come of the whole world. Dr.JD says no country would like to be in a situation to chose between USA and Sri Lanka. But it was not a case between USA and sri Lanka,it was a case what was right and what was might. So, no more Equality, Democracy and other such civilities in the UN. USA is behaving like a bull in a china shop and it doesn’t listen to any diplomacy except insist on what they want. so,if this is the situation and if it continues, not only us, many will take the marbles and go home. I guess he refers to the superficial PEACE midst the white-vans that roam around town freely and the HARMONY that we see all around us, occasionally disturbed by the likes of what took place in Dambulla’ and of course the ECONOMIC BOOM for them ‘pump n dump’ stock market manipulators, arms-dealers and hangers on to the rajapaskshe tail coat running Mihin-Air and the many other such ventures. Long live the rajapakshe’s and the different forms of silva’s – lets make hay whilst the sun doth shine!!! As a Sri Lanka watcher, I have been following with great interest the post mortem going on after the UNHRC resolution on Sri Lanka; both Dayan and Jayantha Dhanapala have presented arguments on how Sri Lanka’s diplomacy could have turned the table and prevented the resolution from being brought up. But a major point that is being missed is Sri Lanka Government over the last three years had squandered its international credibility. Diplomacy can succeed only if home government shows it is acting responsibly. This is what happened in Geneva; you cannot use Band Aid where the patient needed resuscitation. The simple truth is the world has changed as far as attitudes to human rights are concerned. It is prepared to give less leeway to governments than before. So if Sri Lanka wants to succeed it has to show it is prepared to attend to human rights concerns of its own citizens. You cannot carry out cosmetic measures and expect the world to applaud. Thank you Dayan and Jayantha for writing insightful articles on this subject and DBSJ for publishing them. 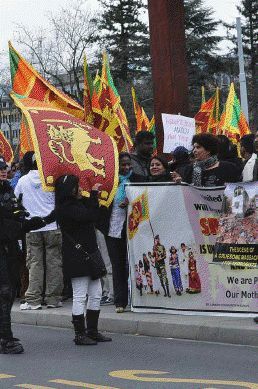 Lastly how long are Sri Lankans going to debate the past and look for ‘traitors’ who did them in Geneva? They should think of how Sri Lanka should implement LLRC recommendations speedily to convince its own citizens that it means business. Then it need not bother about its international detractors. It might become prophetic words indeed one day. Dr.Jayantha Dhanapala is one of the most highly respected diplomats by the international community.In fact at one time he was in consideration for the post of UN Secretary-General and if not for our civil war,today might have been in ban Ki Moons shoes. When a man of such high calibre utters such words it should be taken seriously by the government.The present mess in the UN may have been avoided if his services and intellect was used instead of putting him and people like Dr.Dayan in cold storage,while other ‘doctors’ such as mervyn silva are given prominence and make statements such how they chased out journalists like poddala jayantha out of the country,while the most important UN session is going on.